Australian Myth "The Min Min Light"
The Min Min light is an Australian light phenomenon that is shrouded in mystery. It's a floating ball of light that sometimes follows you and is said that if you follow it you will never be seen again. Some towns in Australia, it is so common to see a Min Min light that they have warning signs put up to alert outsiders not to follow the lights. With a fascination of these light phenomenon, I created this creature. A creature I could see luring it victims to a mysterious fate. 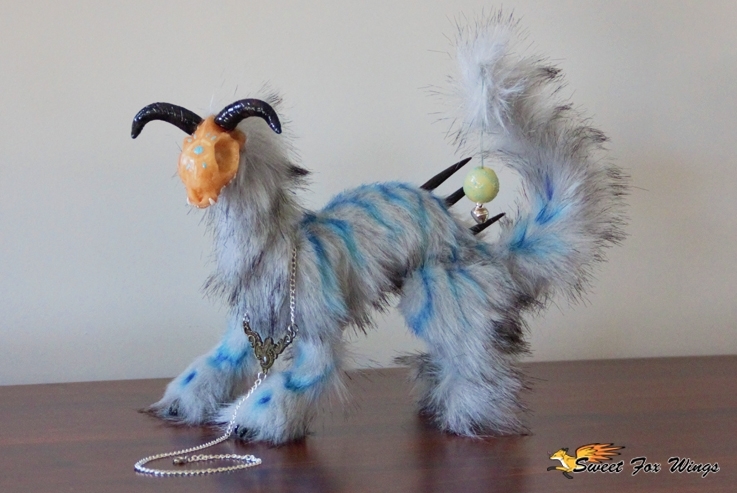 This creature sculpture is fully poseable and as you can see, glows in the dark.